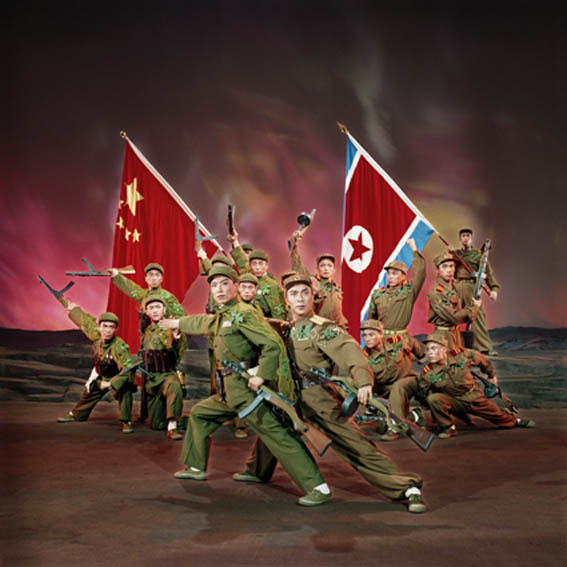 As a photographer of Xinhua News Agency, Zhang Yaxin’s 张雅心 (born in 1933 in Heishan) task was to shoot the model operas and their political significance during Chinese Cultural Revolution (launched in 1966). 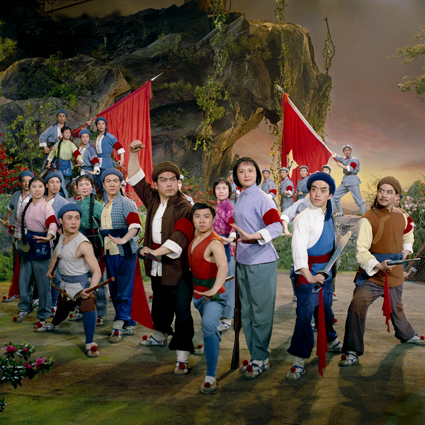 The eight officially permitted model operas became part of Chinese people’s cultural life during more than ten years. 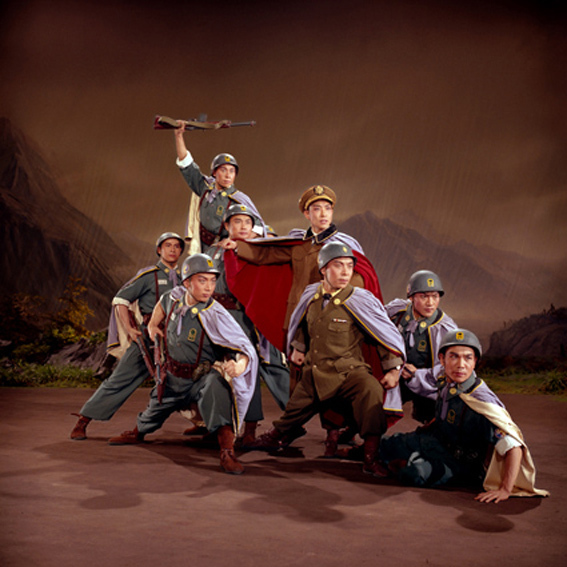 Concomitant with these theatre performances were the stills, which were widely copied and adapted to everyday life goods, such as posters, stamps, posters, match boxes, decorative ceramics, and so on. The Model Opera series (1969-1974) unveils the mystery that lies behind the stage while exacerbating its enigmatic dimension at the same time. 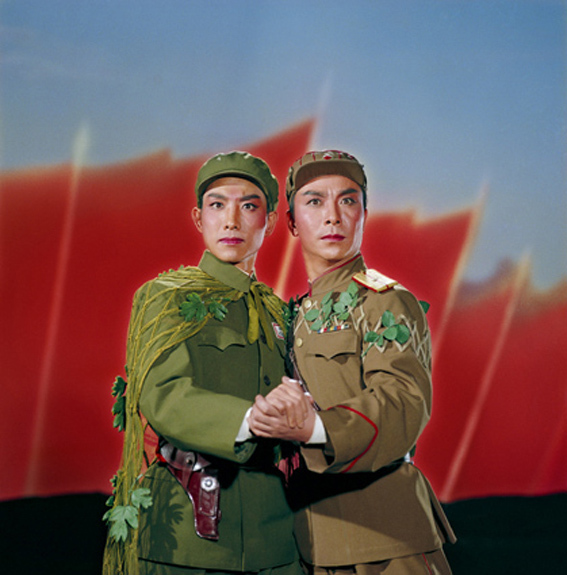 Zhang Yaxin brilliantly achieved to transfigure living actors into majestic statues of an ancient time by capturing the intensity of gazes, the transience of emotions on actors’ faces, the precision of gesture, the brightness of colours, and the magnificence of costumes. 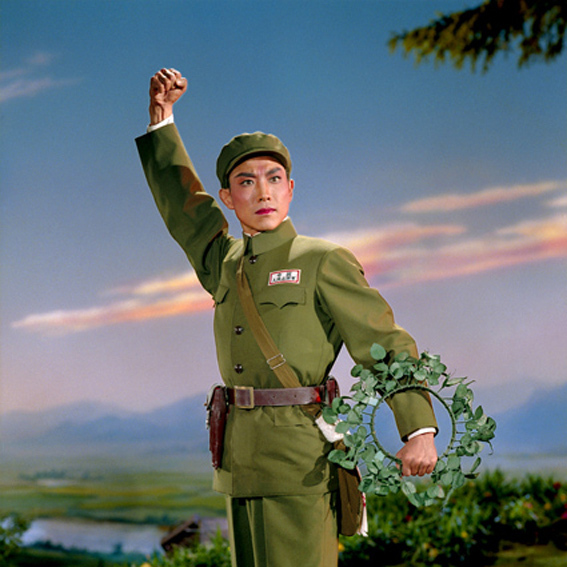 While the main aim was to promote the idealistic revolutionary ideology, these photographs triggered a codified consumption culture and new aesthetic standards that had a profound impact among Chinese people up to nowadays.